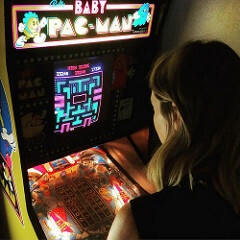 What does the pinball world look like to an outsider? It’s worth considering because it’s sometimes an outsider who makes the most interesting observations. These are observations made by Dr Adam Ruben, and Dr Ruben is – to paraphrase TZ’s Rod Serling – a most unusual doctor. By day he’s a molecular biologist with a PhD to his name, but, bizarrely, by night he’s also a standup comedian. Oh, and a storyteller too. And what’s most interesting about the good doctor is that he’s currently working on a book that’s provisionally called Pinball Wizard: Jackpots, Drains, and My Descent into the Cult of the Silver Ball. It’s a great name (apart from the Pinball Wizard bit, obviously,) and it falls into the genre of books that shine a light into mysterious worlds and reveal them to be far more fascinating places than you would ever have imagined. 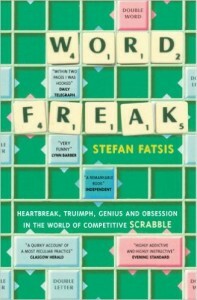 Examples of this type of books include the catchily named: Word Freak: A Journey Into the Eccentric World of the Most Obsessive Board Game Ever Invented: Heartbreak, Triumph, Genius and Obsession in the World of Competitive Scrabble. And let’s not forget the great Moonwalking with Einstein: The Art and Science of Remembering Everything. We’ve read Moonwalking with Einstein here at Pavlov Towers and can vouch for the fact that – even with no prior interest in the world of competitive memory tournaments and mental athletes – it’s rivetting stuff. So a book about the world of the silver ball – which we are interested in – should be the same, but more so. And if Scrabble nerds and memory experts get their own book, then isn’t it high time that pinball got the deep dive treatment too? And in fact he’s also not really a complete pinball outsider either. Far from it. 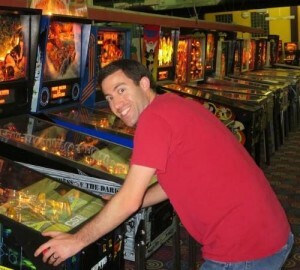 He played pinball on vacation by the ocean each year as a sprog, and at college he once got within one ramp of completing Medieval Madness after an epic one and three-quarter hour game. Missing that last ramp still haunts Dr Ruben today. But there’s more. 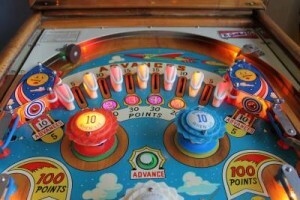 At grad school he was given a season’s membership to a pinball league in Maryland as a birthday gift. “I went to the league meet, and after it finished lots of people there ordered milkshakes. My thought then was that I had never been in one place with so many adults who drank milkshakes,” he says. Still, he must have enjoyed it, because he went on to play three seasons a year for the following eight years – from 2003 – 2011. Was he any good? Well, he never won the league, if that’s what you mean, but at one point he was ranked 80th in the world and in one tournament he entered he placed higher than both Sharpe brothers. So yes, it’s safe to say that he was pretty damn good. All that came to an end with marriage and children, but it turns out his silverball mania was only in remission, not extinguished completely. Dr Ruben has done plenty of research for the book, and reckons he’s come up with some interesting things. 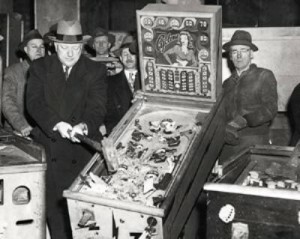 For example, he’s been reading depositions from New York trials – and he believes that there was more to Mayor La Guardia’s 1942 ban on pinball in New York than meets the eye. “I thought initially this was just someone who didn’t like alcohol or games, but the truth was that plenty of pinball operators were trying to be gambling parlors,” he says. 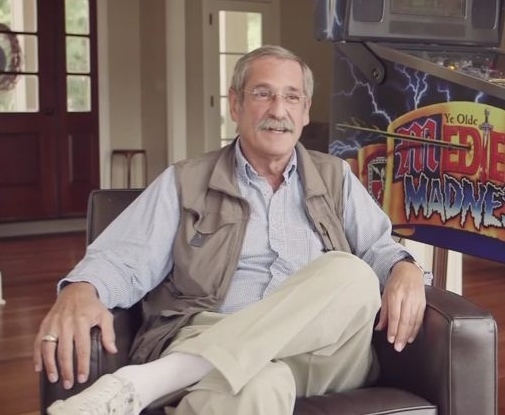 He’s also talked to many of the great and good in the pinball world for the book: Roger Sharpe, Jersey Jack, Gary Stern, Pat Lawlor, Barry Oursler and so on. And he plans to catch up with top players like Bowen Kerins and Keith Elwin next. “I came to Expo and didn’t know who would be willing to talk to me, but everyone was very generous with their time,” he says. Was he surprised at these top industry bods’ willingness to talk? “Well yes, but my wife pointed out that ‘maybe these people are not the big celebrities you think they are,'” says Ruben. It’s a point well made by the doctor’s good lady. Roger Sharpe and Pat Lawlor may be superstars in the pinball world – and rightly so – but beyond the few thousand souls that make up that world they’re just another couple of middle-aged gents. Universal appeal – but what’s this one’s name? Here at Pavlov Pinball we reckon that anything that raises the profile of pinball is a good thing, and we can’t wait to get our mitts on Jackpots, Drains, and My Descent into the Cult of the Silver Ball. The book’s due for completion next summer, and it will be published by Chicago Review Press in Spring 2017. Do you have a licence for that beverage, sir?